I suddenly realised a few days ago that despite the fact that I have a fair sized collection of books about photography technique, this is the one that I pick up most of the time. If you’re into portrait photography then you’re into controlling the light on a scene. If you have nice natural light then you do that with positioning and reflectors, if you dont then you have to add some of your own. 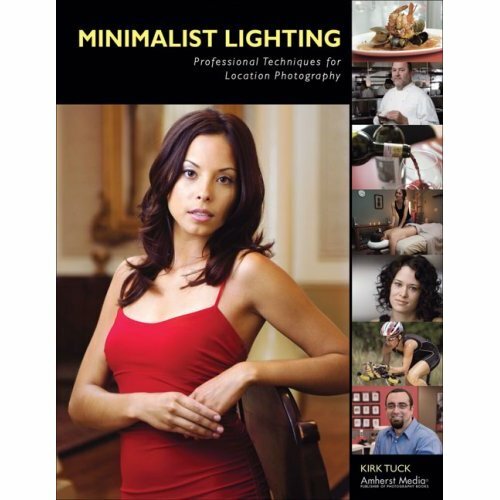 This book is an inspiration on the subject of using portable flashguns (strobes if American) to control the light. It covers the general principle of using light remote controlled flashes to carry an effective lighting rig with you in a large camera bag. It explains the use of light softeners such as softboxes and umbrellas. It explains the positioning of your main subject flash or flashes. The use of coloured filters on flashguns to match a room’s primary light source. e.g Tungsten, fluorescent etc. The final section of the book has some interesting lighting case studies where Kirk talks us through the real life problem solving and flash placement he used on a number of real photo engagements. If you are into photography and looking to develop your use of flash photography to control light, then this book is fantastic. I’ll continue to pick it up more than the others until I feel I really understand the topic. That will continue to be easy since it’s written an a readable style. Readability: **** Written in a relaxed friendly style. Illustrations: ***** Really filled with examples and diagrams explaining visually what you need to know. Hi Matthew, Thanks for the great review! I really appreciate it. Excellent review, quite helpful to a potential buyer. Any chance I could wrangle a review out of you posted to Amazon? Just some cut and paste action? I am the Sales Manager and I’d love this on Kirk’s book on Amazon. If you’d like to review some others on your blog as well as Amazon, let me know.